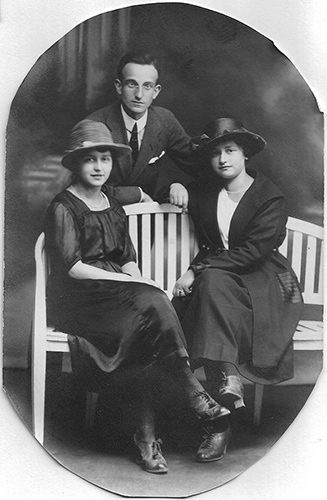 Fred Sichel, Fred Naumann, Trude Naumann, Lotte Naumann. Fulda train station-Oct 18, 1937. 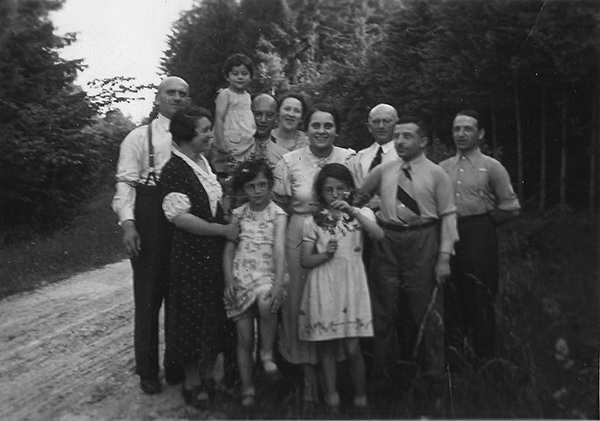 Alfred Mittel, Nelli &amp; Otto Liebenthal, Meta (Margie) Mittel (Alfred’s sister, later married Martin Frank and lived on a farm in pstate NY), Jewish man who worked for the Liebenthals and likely was the driver that day, Hilda &amp; Ludwig Naumann. 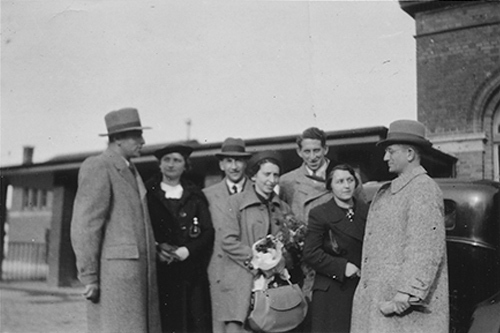 This is probably the day that Ludwig, Alfred and Meta left for the USA. The house at Engasse 87. 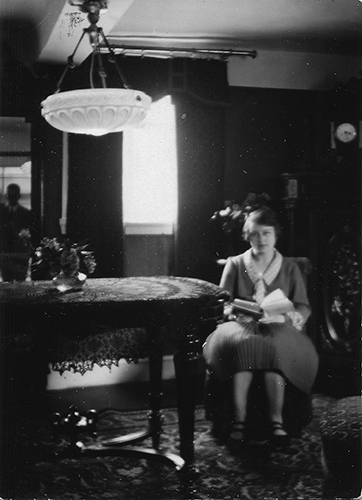 Hilde Mittel Naumann seated. Ludwig Naumann reflected in mirror. Gretel married Otto Liebenthal and died Jan 2, 1927, 6 days after giving birth. She is buried in the Unsleben cemetery. Her daughter was named for her (Greta (Gretel?) Liebenthal Oestreicher). Later that year Nelli married Otto (under family pressure as it was always told to me) in order raise Greta. In 1930 they had a child, Alice Liebenthal Schoen. They emigrated to Cuba before coming to the USA. All but Otto emigrated to Queens, NY. 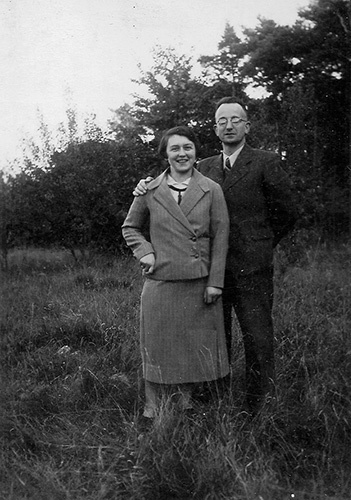 Otto went to South Africa where he married Erna in 1944. He and Erna had two daughters and a son. Erna made aliyah in the late 70s. 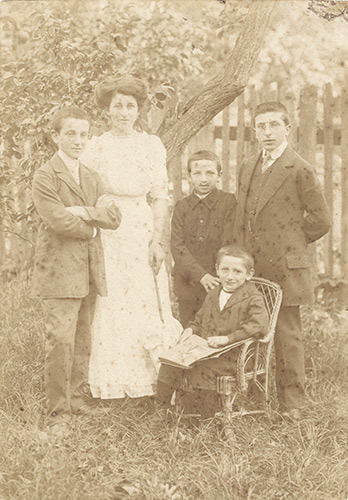 Their son Steven lived in Canada for a number of years and then he and his family made aliyah. 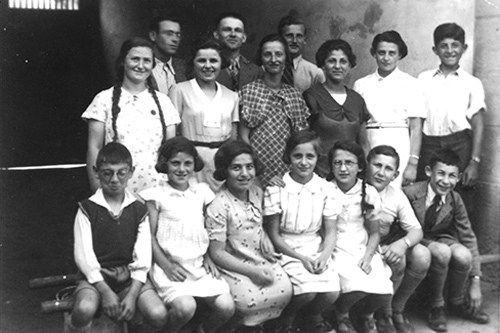 The younger daughter, Denise Treisman, made aliyah with her family directly from So. Africa. 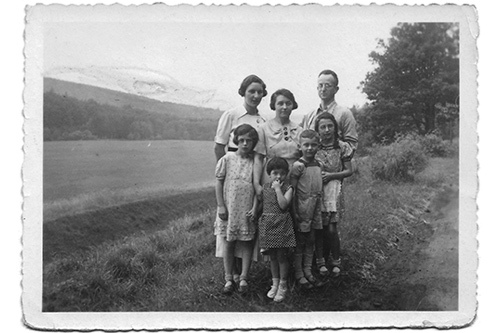 Mavis Rosenstein and her husband Neil lived in Israel for a while in the late-sixties. Their eldest son, was born in El Arish (probably). 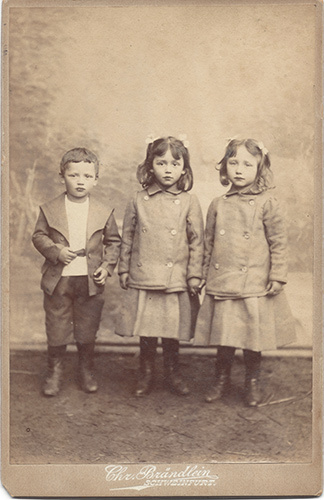 Then they emigrated to the States and have been living in New Jersey. 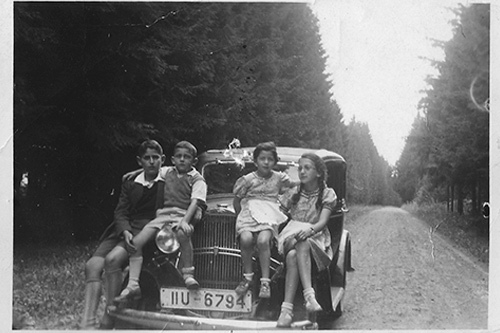 Later this year they are returning to Israel where 4 of their 5 sons, their grandchildren and great-grandchildren live. 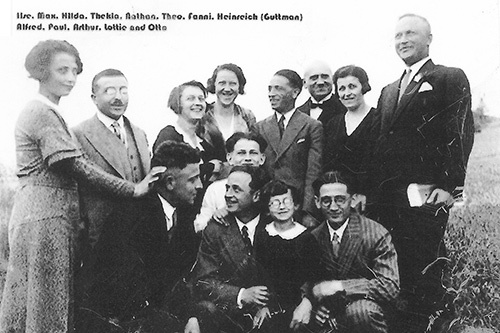 Hilde Naumann, Ruth Naumann, Lotte Naumann, Max Naumann (with mustache), Theo Mittel, Trude Naumann, Salli Mittel, Thekla Naumann, Ruth Mittel, Josef Mittel, Nathan Naumann.